This post is sponsored by Crest; however, all views expressed are my own. Okay, so, I love fall, but I have to confess, it’s a danger zone for me. Highway to the danger zone…. Sorry, Top Gun flashbacks. 🙂 Anyway, like I was saying, fall is a fabulous season but its that time of year when my focus on fitness and overall health starts to drift a bit. You know what I mean? There tend to be a lot guilty indulgences readily available and as the weather sours, I’m less active. Plus, as a working mom, I’m always busy but fall through winter I’m really busy. This year, I’m determined to keep my eye on the prize! (The prize being my health.) If you’re in the same situation, I’d be glad to be your Goose; (sorry, sorry, another Top Gun reference). Here are three tips to help us all stay fit this fall! #1 – Healthy food isn’t synonymous with boring food; get inspired with new recipes! You may be less tempted by those decadent fall treats if you have yummy healthy alternatives. The problem is that a lot of us equate healthy food with boring and flavorless food. Luckily, there are tons (seriously, tons) of nutritious and delicious dishes out there that prove healthy food can taste awesome! Get creative this fall, explore healthy recipes, and discover some new family favs! #2 – Track your progress to see how you’re really doing. When it comes to health and fitness, it’s important not to guess. Don’t assume that you’re doing great (or terrible) on your diet and fitness routine. Instead, take advantage of free printables like this fitness journal and weight loss chart to keep track of how you’re actually doing. Once you have the facts, you can make adjustments to your food intake or activity level as needed. #3 – Health and fitness is about more than just your weight! For a lot of people health equals weight, but really it’s so (so) much more than that. Someone that’s an ideal weight can still be unhealthy, and vice versa. Health applies to all aspects of your well being, including physical, mental, and emotional. With that being said, this fall, be sure to focus on more than just your weight. Work to incorporate simple healthy habits throughout your day. For example, when was the last time you cleaned your makeup brushes? Did you know using dirty brushes can expose you to a whole slew of nasty germs including staphylococcus, streptococcus, e coli, fungus, and pink eye (Source: Good Housekeeping, 2015). Another way to stay fit this fall is to pay attention to your oral hygiene. Things like gingivitis and cavities aren’t just painful and potentially costly… they can lead to additional health problems down the road! 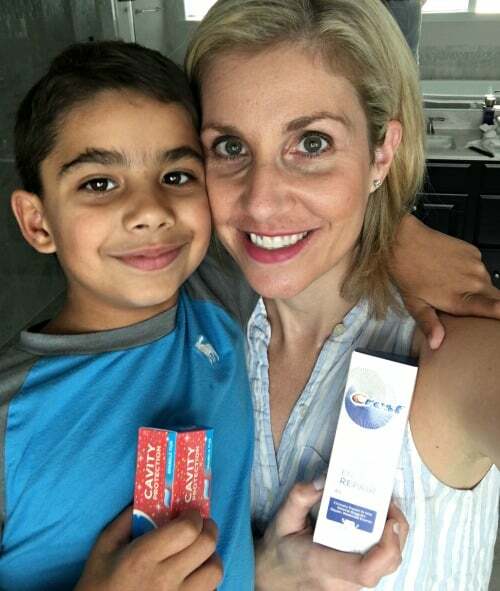 For my family’s good oral health, I opt for Crest. They have a whole array of products, including toothpaste, mouthwash, and whitening strips, that all work together to keep our mouths looking and feeling tip top. I’m particularly a fan of Crest Gum & Enamel Repair toothpaste which features Advanced Repair Technology and is clinically proven to reverse gingivitis! This product also provides a shield against acids found in common foods to provide an added layer of protection. 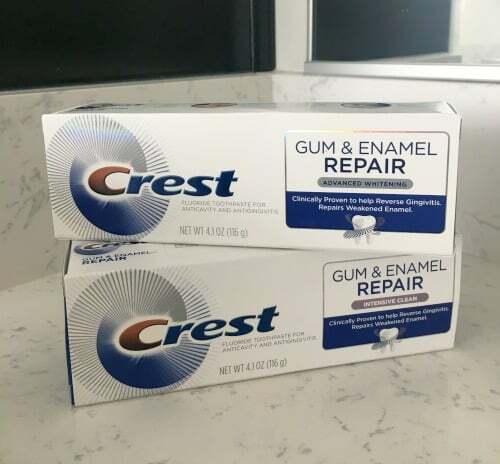 If you’re interested in trying Crest products this fall, CVS has a super sweet deal for you to sink your teeth into! September 30th through October 6th, when you spend $30 on Crest products, you’ll get $10 Extra Bucks! Ah, but the savings don’t stop there! 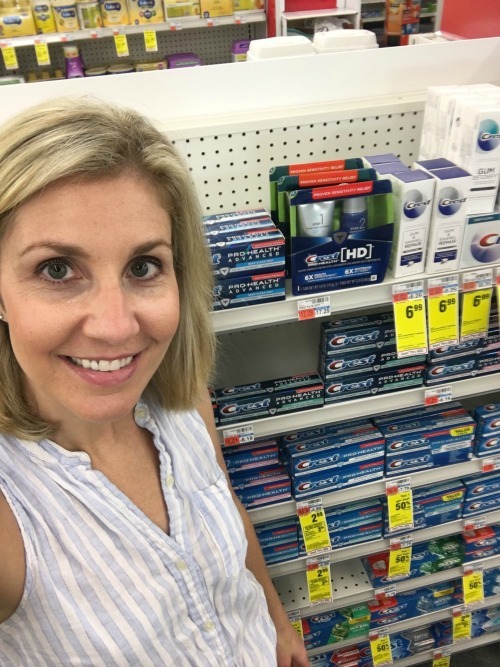 Check your local newspaper on September 30th to snag a Crest coupon that’ll allow you to save an additional $1 on any Crest toothpaste including kid’s toothpastes. Don’t forget, this scary good offer is only available at CVS, so find a CVS store near you now! I hope these three tips help you have a fit and fabulous fall! Great tips + great deal = awesome post! Thanks.